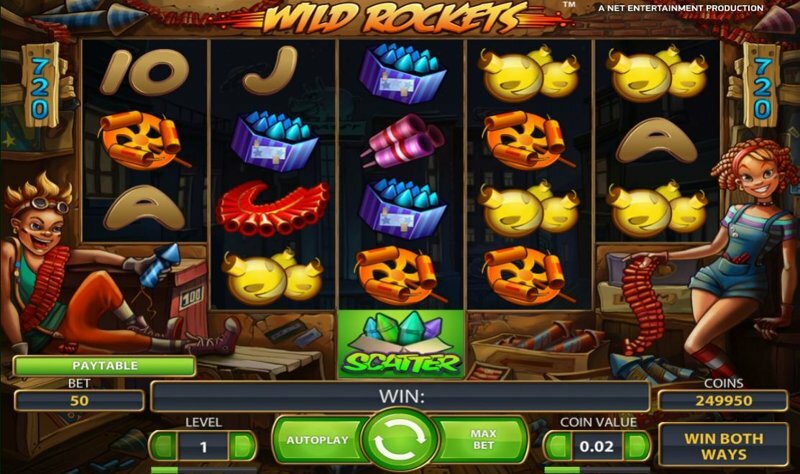 Wild Rockets is a firework-themed Video Slot from Net Entertainment, and it’s refreshingly different from their other titles, thanks to the unique design, the fun gameplay, and the “shooting wilds” feature, that makes the bonus-round one of the most intuitive we’ve ever seen. The game’s also famed, thanks to the fact it doesn’t use a traditional Net Entertainment pay line structure; you’ll still see five reels, but instead of being presented in the normal way, you’ll notice they’re actually arranged in an inverted triangle. Reels one and five feature just three symbols, reels two and four have four symbols, and the middle reel (reel three) has 5 symbols. In case you hadn’t already guessed, this means there’s no set pay lines, and Wild Rockets is a 720-Ways-To-Win slot, meaning you only need to land three matching symbols anywhere on the first three reels in order to win; land an extra symbol on reels 4, or 4 and 5, to make 4-of-a-kind and 5-of-a-kind wins – a nice change from conventional gaming. In terms of the symbols themselves, you’ll see the low-paying ones as playing card symbols, which includes 10, J, Q, K, and A, and the high-paying symbols include an Orange Catherine Wheel, Red Chinese Firecrackers, Purple Rockets, a Blue Firework, as well as Yellow Bombs. The wild symbol is a rocket, and the scatter symbol is a green box of fireworks. Wild Rockets is fully-available to players on mobile devices, thanks to Net Entertainment’s development team. iOS, Blackberry, Android, and Windows devices can generally run the game with no problems, and there’s nothing to install, or download; simply open the game from your favourite online casino, and you’ll be able to begin playing right away. Plus, thanks to Net Entertainment’s development team, you can access all the same functions from a mobile device, as you would from a desktop computer, which allows you to easily adjust the stake, change audio volume and graphical quality, as well as using the AutoPlay and “Maxbet” features. Land three or more of the scatter symbols and you’ll win ten free-spins, climbing to twenty free-spins for landing 4 scatters, and a stonking 50 free-spins if you manage to net 5 scatters at the same time. 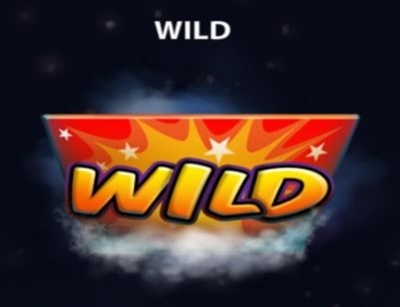 During the free-spins, you’ll not see any sticky wilds, or even a multiplier for that matter, but you do see an increase in the number of wild rocket symbols present, and this has a big impact, as you’ll see below. Anytime a wild rocket wild lands on the reels, you’ll see it either is designed with the arrows pointing up, or the arrows pointing down. This is the direction the rocket will travel, and when it lands, it will shoot up or down, turning all the symbols above, or below it, into wilds. For example, if you landed a wild rocket symbol on the bottom symbol of reel two, and the rockets on the wild were pointing up, the entire second reel would turn wild. Manage to get 2 or 3 complete wild reels, and, thanks to the 720-ways-to-win structure, you’re in for some gigantic wins. While there isn’t any substantial difference between the base-game spins, and the feature, as with most Net Entertainment games, the feature tends to land a lot more wilds, and, thanks to the ease of re-triggering the bonus, it’s quite easy to carry on gaming for a long time. 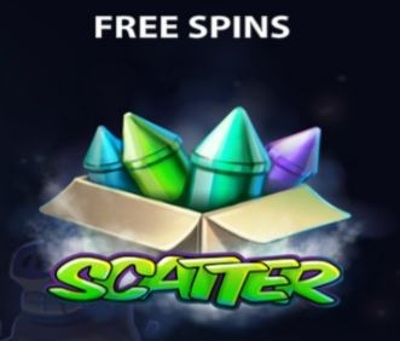 (In fact, land four or five scatter symbols, either in the base-game, or during the free-spins, and you’ll be awarded twenty, and 50 free-spins respectively.